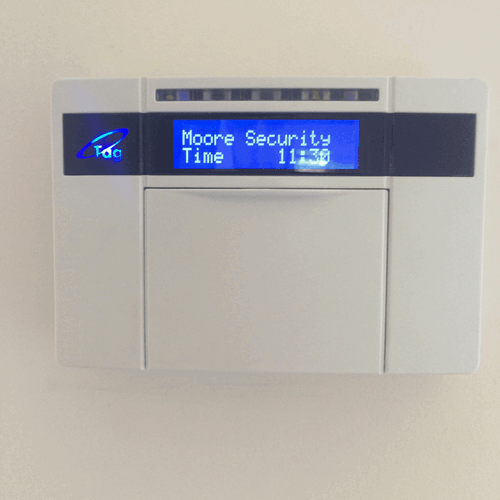 Moore Security Systems is a Lutterworth based, family run security company with over 10 years experience in the security system industry. 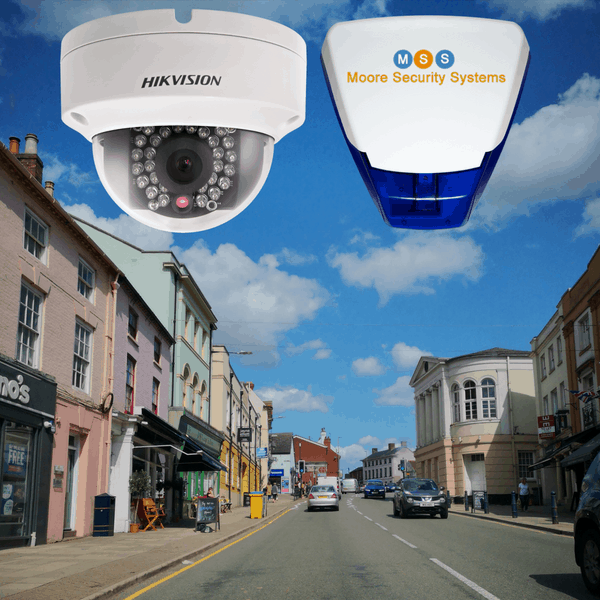 We provide CCTV, Alarm Systems and Access Controls to Lutterworth residents and surrounding areas, supplying the most innovative and reliable systems available. All of our products have a 12-month guarantee and we also offer yearly maintenance on all of our systems to keep them running smoothly, year on year. Lutterworth is not only our business location it’s our home too, so providing local residents with the best home security solutions at a low cost is the least we can do. All you need to do is get in touch with us today for your free quotation and to claim your 10% off. Lutterworth, a market town with its population of 9 353, lies in the Harborough district of Leicestershire. The Lutterworth town is in southern Leicestershire is in close proximity to all the major motorway networks. been increasing with 330 incidents occurring in the period January 2018 to April 2018. Statistics show that crimes like burglary, theft and vehicle crimes all increased more than 10%. During the period 138 burglaries were reported. Unfortunately, crime levels have been rising around our hometown. Take a look at the May 2017 and April 2018 comparison for crime types in the Lutterworth area. We have pulled this information from Leicestershire Police website. The Lutterworth police requested the public to be vigilant and to assist them by taking precautions. The police will increase their foot patrols and stop and search activities in the area. With streetlights being converted to LED streetlights energy costs and curb carbon emissions will decrease but despite this council intends to continue with “Part night lighting” which switches street lights of from midnight to 5.30 am daily. Criminals operate better under the cover of darkness and burglars prefer not to be seen. It was established through research that burglars typically observe properties before breaking in, they don’t like surprises. They will call at the front door to observe your security and to find out if anybody is home. 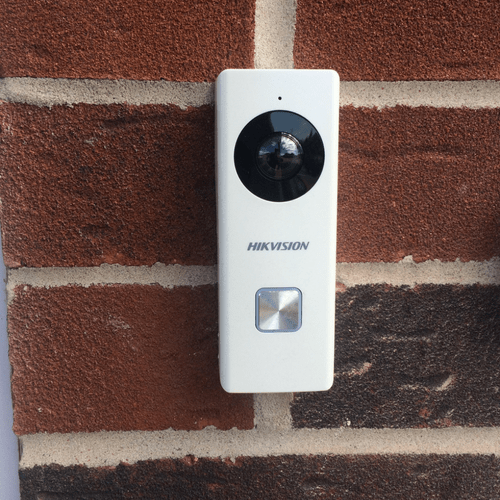 A Wi-Fi doorbell which warns you beforehand on your mobile phone is an ideal option and allows you to communicate with somebody at the door even when you are not home. With the councils “Part night lighting” policy, surveillance systems is ideal to detect any movement around your property during darkness and to warn and protect you. The high volume of traffic through the town drowns out sound and assists any burglar when committing a burglary. The best option to prevent burglaries from happening is to install a security system which warns the homeowner and deters the burglar, burglaries are normally done by breaking windows or doors, your alarm and security system will ensure detection. For the best advice, speak to us today and we will gladly provide the best solution to your needs. We are a Midland based, family run business specialising in cost-effective home and business security solutions, tailored to meet all your home and buisness security needs. Peter Moore - Director & Senior security engineer. Peter is our senior security engineer who has over 10 years experience in the electrical and security sector. 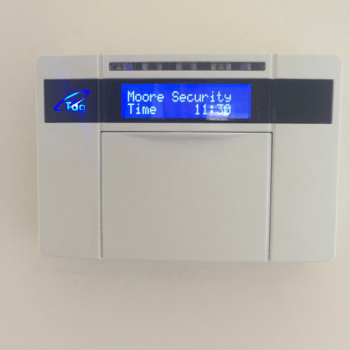 Peter is fully insured and fully qualified to install all the latest security systems into your home. Christy - Director & Company Secretary. Christy has a wealth of experience in customer relations, marketing and providing exceptional customer service. Christy heads up our accounts & marketing. We are really happy with our security system. Peter was so helpful and professional. Competitively priced. Couldn’t recommend him more highly. We are very happy with the CCTV system that Peter installed for us. Peter was extremely knowledgable and professional throughout the installation. Nothing was too much trouble for him and the standard of work was first class. On a particularly cold and snowy day, my external security cameras were fitted along with a smile, useful advice to get the best from my system. A very professional service, arriving on time, cleaned up properly, I highly recommend them.